I must first confess this is not an authentic Taiwanese dish... in fact I have no way of finding out what's 'authentic' as there are so many versions (like most recipes) and everyone does it differently and I suppose they can all be authentic. 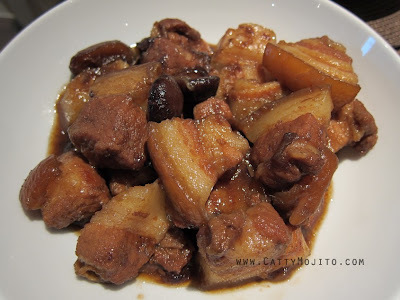 Let's just say it's 'my' version of the Taiwanese braised pork belly dish! 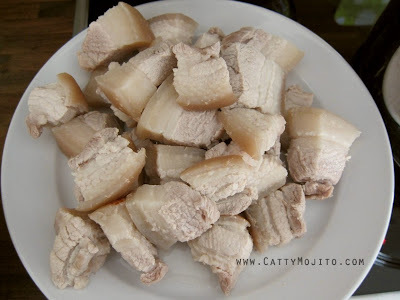 Cut the pork belly into cubes. 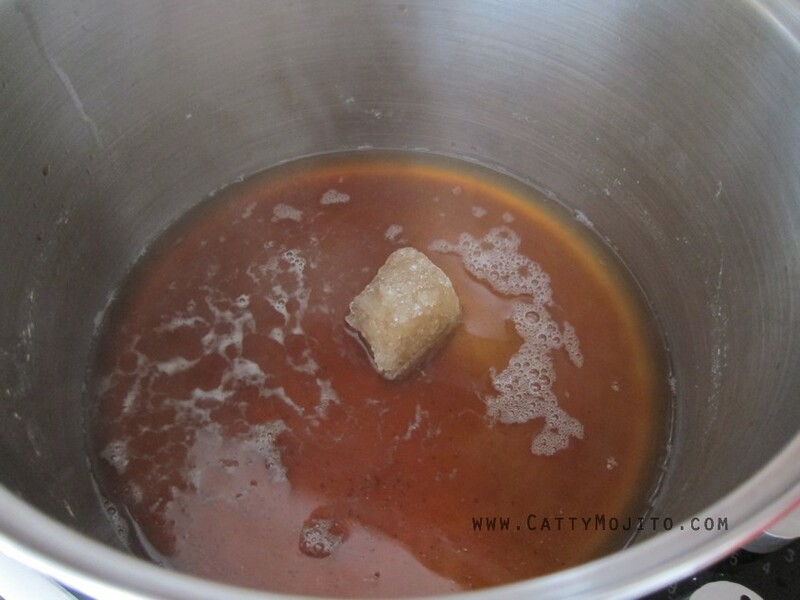 Blanch the cubes for 10 minutes to remove the dirt on the skin. 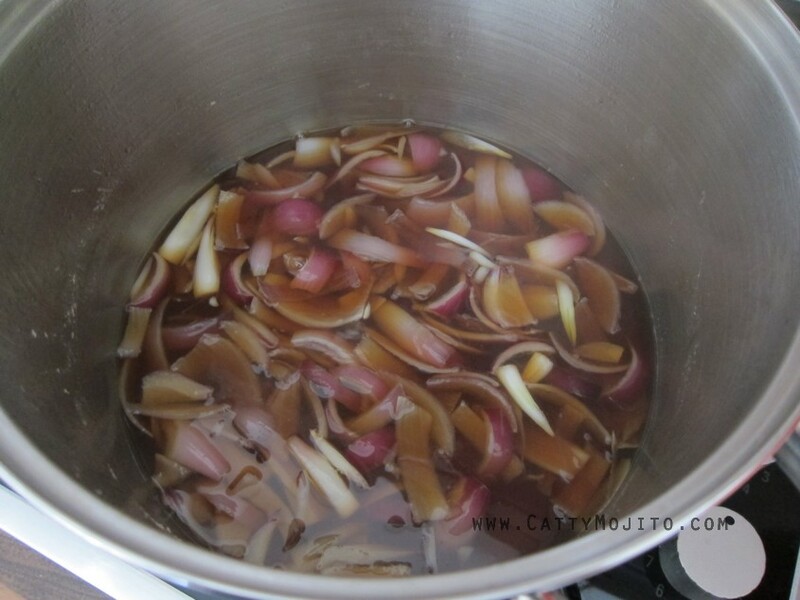 Drain and add white pepper to remove the smell. Set aside. 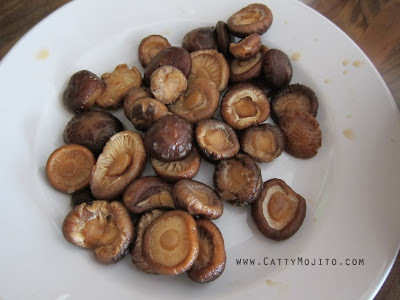 Soak dried shiitake mushrooms overnight. Drain, and retain the soaking water. 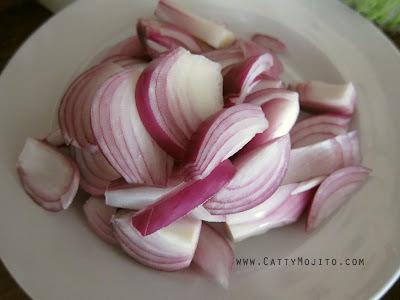 You need about 3 red onions. Julienne them. Boil the mushroom soaking water with half a bowl of soy sauce, a piece of rock sugar (slightly smaller than the size of the hole made with the index finger and thumb when making an 'okay' sign), 3 tbsp cooking wine, and some salt. 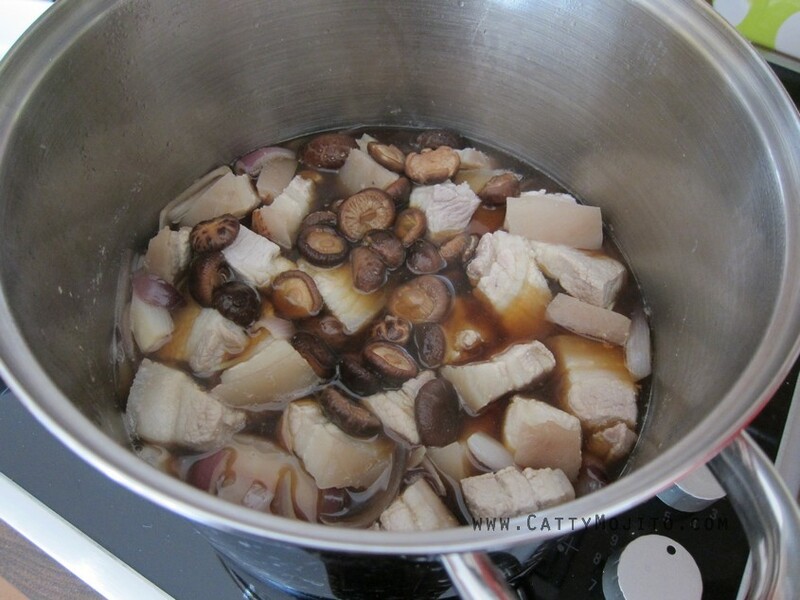 Add the pork and mushrooms, and cook for about 1 hour. Make sure the liquid just covers all the ingredients.